Nero, the electronic group comprised of British-born producers, remixers, DJs, and artists Dan Stephens, Joe Ray and vocalist Alana Watson, are possibly one of the biggest names in dance music. The trio received RIAA certified Gold-Record status in the US this month for their track ‘Promises’, which also stormed straight to the top of the charts in the UK, and are now announcing a deluxe re-packaged release of their critically acclaimed hit album ‘Welcome Reality +’ featuring all new original material and a North American DJ tour in October. Out on October 22, the re-pack includes two brand new original Nero tracks, ‘Won’t You (Be There)’ and ‘Etude’ plus the huge Skrillex/Nero remix of ‘Promises’. 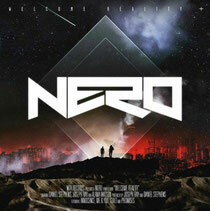 Coinciding with the album re-release, and on the back of 2012 headlining slots at Coachella, Lollapalooza, Identity Festival and their live show at Hard Summer, Nero will tour North America in October and November, DJing nine shows, including stops in New York, Boston, Toronto and Washington DC, with more dates to be announced.